Jeff Kessler is a systems optimizer passionate about the intersection of business, technology, and the regulatory state. He holds four degrees from the University of Pennsylvania — two undergraduate degrees (Wharton & Systems Engineering) from the Jerome Fisher Program in Management & Technology and two graduate degrees (Systems Engineering and a Regulatory & Technology Law Master in Law). Through his technical, legal, behavioral, and business backgrounds, Jeff strives to develop systems that are functionally optimized and maximize stakeholder goals. Professionally, Jeff’s passion has been the transportation sector, where he has unparalleled work and board experience spanning every major transportation system along the entire Northeast Corridor from DC to Boston (Amtrak, WMATA, SEPTA, MTA NYCT, MBTA CR). Jeff is currently responsible for using technology to enhance operational practices and augment front-facing customer initiatives at Keolis Commuter Services, the private operator of the MBTA Commuter Rail in Boston and the surrounding suburbs. He is the Founder and Principal of KASDAT Consulting, an Emeritus Member of the Delaware River Port Authority Citizens Advisory Committee, a member of Young Professionals in Transportation (YPT), and an organizer of the TransportationCamp Philadelphia conference. Responsible for using technology to streamline workflows, enhance operational practices, and deliver better performance on the MBTA Commuter Rail system. Provide independent strategic and implementation guidance to firms and private individuals looking to leverage data, automate processes, and train their workforce to do the same. Organized Philadelphia’s first TransportationCamp, bringing the transportation industry’s most dynamic conference model to the City of Brotherly Love in partnership with YPT and WTS. Visit http://transportationcamp.org/events/phl2018/ for details and to subscribe to updates about TransportationCamp PHL 2019! Youngest individual (by 10+ years) appointed to the official independent advisory board of the Delaware River Port Authority; confirmed by DRPA Board and Pennsylvania Lieutenant Governor. Click map pins for more details; click company logos to visit websites. ✔ Functioned as an internal consultant identifying and evaluating potential customer service initiatives. ✔ Authored report and developed LINDO optimization model proposing 35 initiatives designed through field work, observation, market research, social media, historical records, and external agency collaboration. ✔ Oversaw multiple focus groups, analyzed results, and evaluated surveys to assess initiative performance. ✔ Administered and hosted more than 15 SEPTA Customer Connection events at various area destinations. ✔ Formed and directed “ORCA Select” team as Project Manager to establish platform for improving Operations Research Computation Analysis (ORCA) tool’s ease-of-use and agency adoption. ✔ Advised CETC (Train Management) Quality Control Team, Dispatch, and assisted in NE Corridor Routing. ✔ Supported designing of track structures and curve layouts; tracked Acela train on-time-performance. Nothing we encounter functions in isolation; rather, everything is a set of components with complex interdependencies. Systems engineering utilizes engineering methodologies, optimization techniques, and sensitivity analyses to improve these systems. Why do optimized systems often fail? They regularly make incorrect assumptions about human behavior and rationality. Behavioral Economics provides a toolkit for analyzing decisions, optimizing systems, and developing creative solutions in light of known behavioral biases and decision processing. Virtually every system we encounter is governed by money and finances. Acting as the life-blood behind many systems, quite simply, solid financial understanding is critical to robust decision-making. Sometimes the most critically-overlooked component of decision making is that of policy and legal implications. Knowing how to design and build systems within a complex regulatory environment along with an understanding of effective policy crafting is required for modern success. 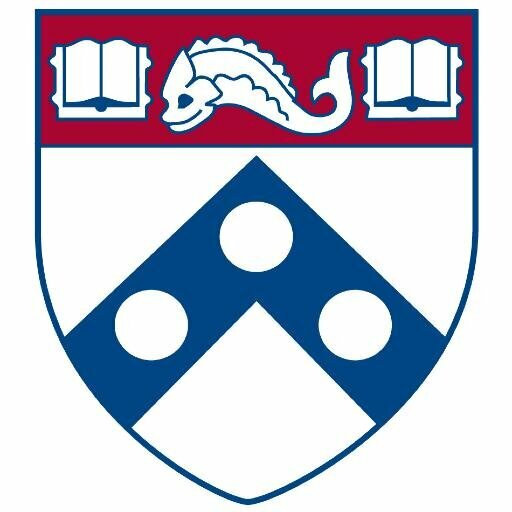 Concurrently pursued degrees from Wharton and Penn Engineering in UPenn’s oldest coordinated dual degree program. First student to pursue an interdisciplinary program in Engineering and Law / Technology Policy.